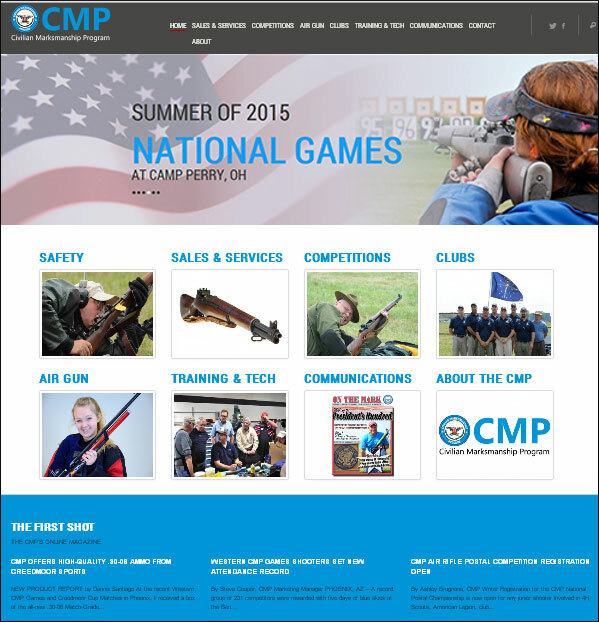 The Civilian Marksmanship Program (CMP) has completely overhauled its website. The new site boasts over 300 pages of content covering 40+ CMP programs. 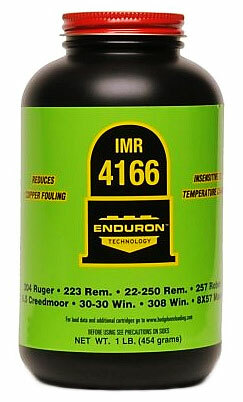 In addition, it is easier than ever to purchase items through the CMP E-Store. Check out the changes at: www.thecmp.org. With a more modern, tablet-friendly design, the site is easier to navigate, with the most frequently used CMP services placed “front and center”. The site is divided into seven main categories: Safety, Sales & Services, Competitions, Clubs, Air Gun, Training & Tech, and Communications. Click on any of these categories, and additional content displays. The Sales page now links items to the CMP E-Store, simplifying the online ordering process. The CMP’s Competition and Club Tracker is now integrated into the CMP website. Users can now easily access a list of upcoming matches or a list of clubs. You no longer have to bounce out to a different website with a different interface. This represents a pretty big change that should benefit site users. The First Shot, the CMP’s popular webzine, is now an integral part of the CMP website, allowing articles to be located through keywords in the Search feature. This should help users access the scores of useful articles in The First Shot’s archive. Editor’s Comment: The new CMP website is live, but there are some issues. Sometimes it takes two or three tries to launch the site, some features are very slow, and we are still observing some database errors. We expect the programmers are working hard to speed up and optimize the site over the next few weeks. Hopefully the new CMP site will soon become more responsive. Generally, the design changes have been positive, making the site more user-friendly. However, it appears that some glitches still need to be resolved. Share the post "CMP Launches Updated Website with Useful Features"